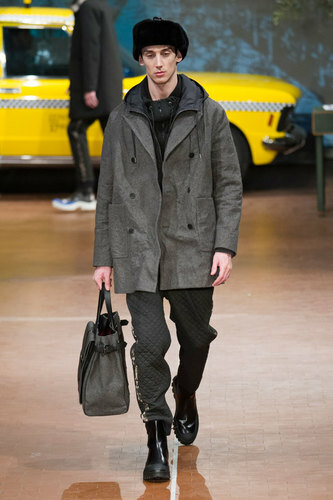 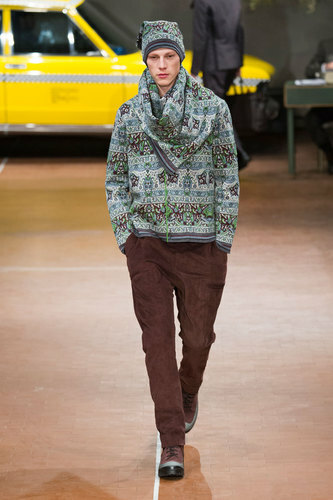 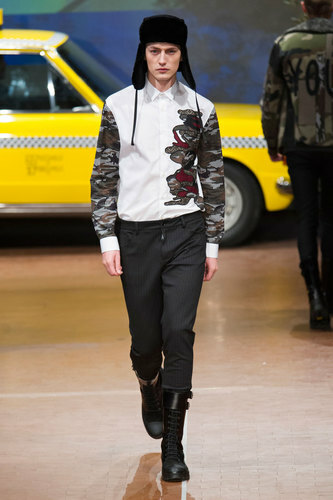 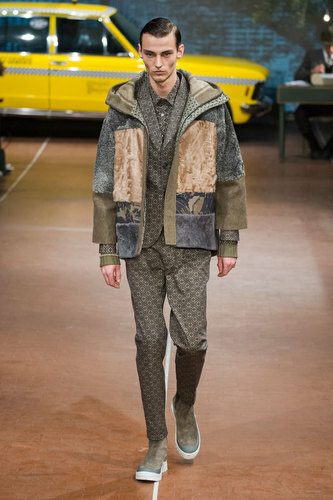 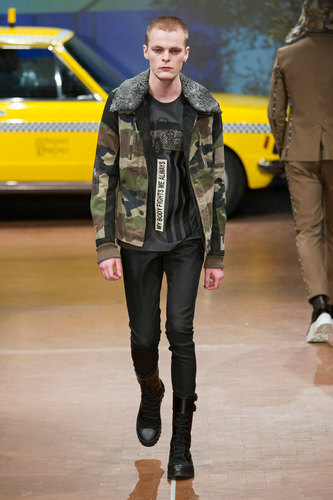 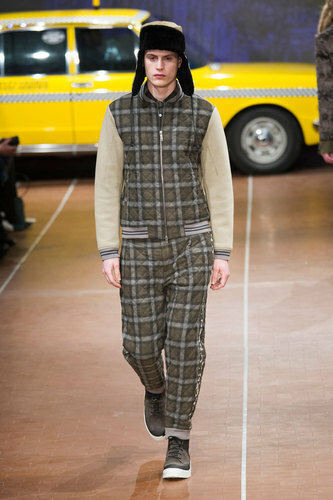 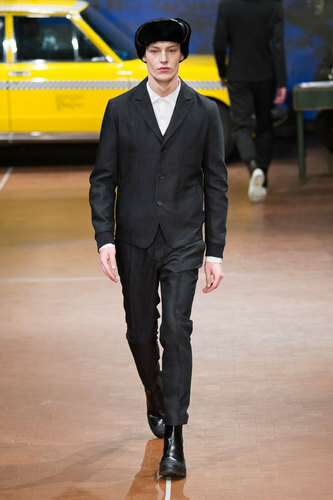 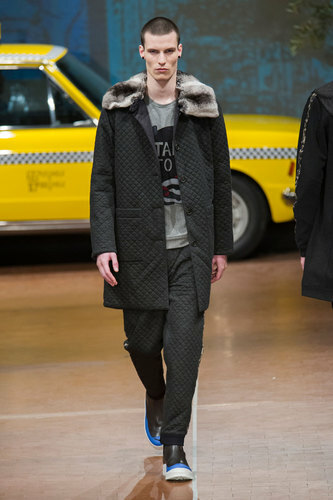 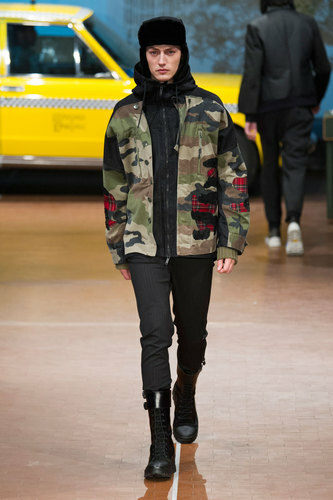 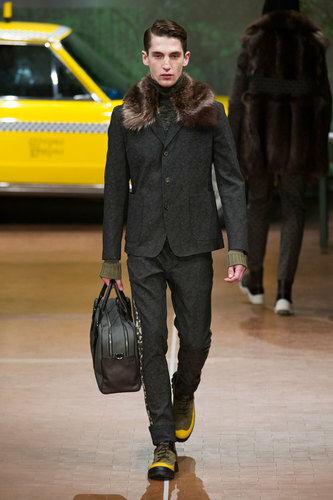 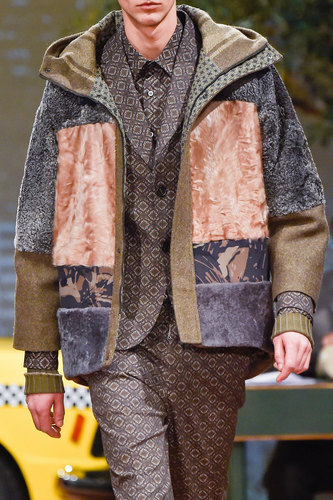 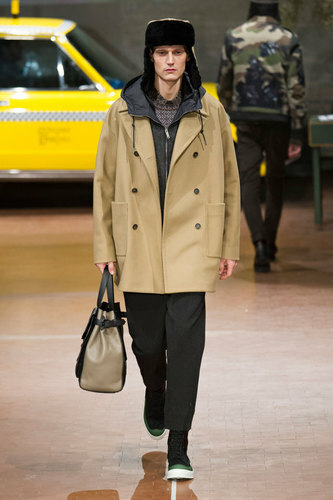 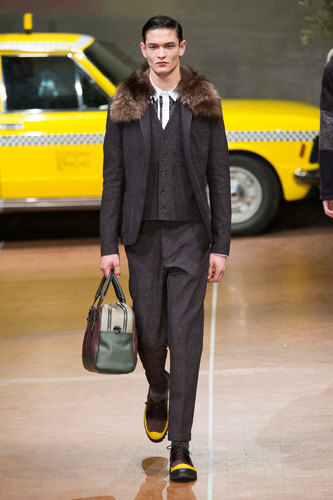 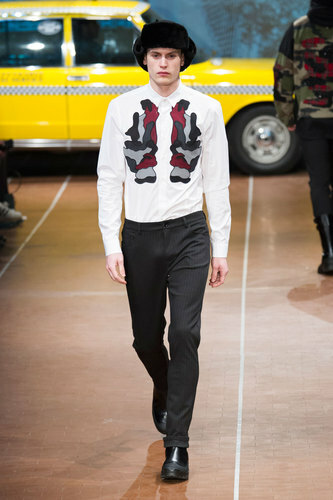 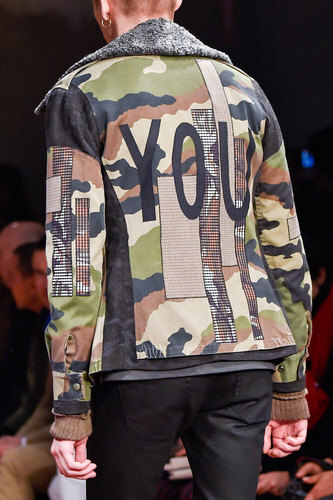 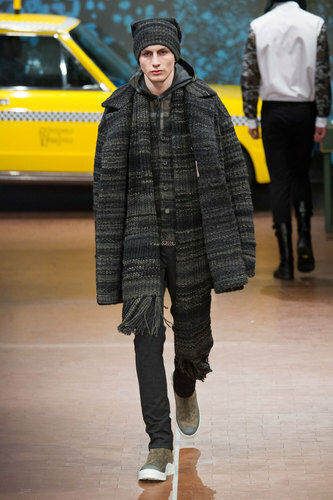 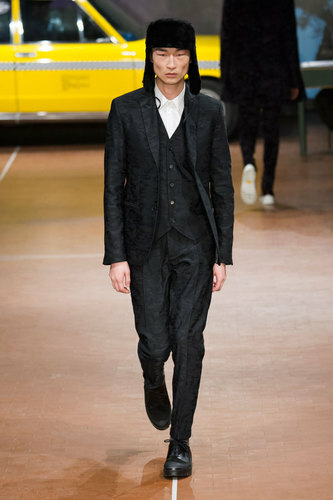 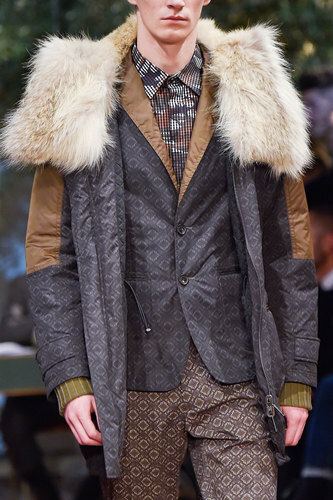 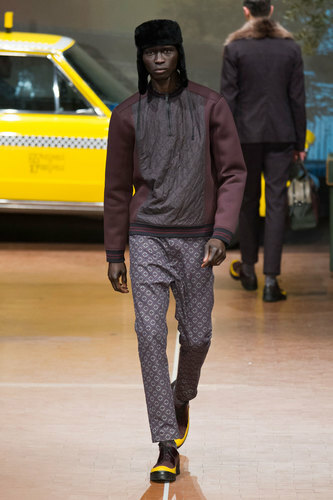 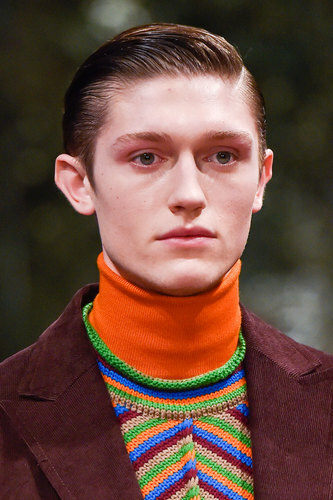 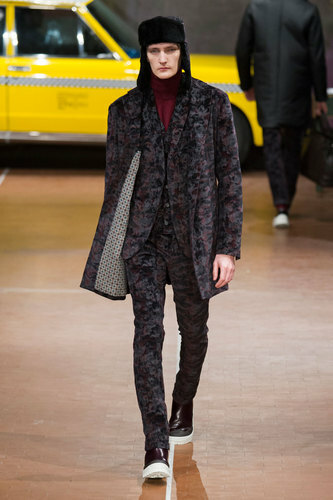 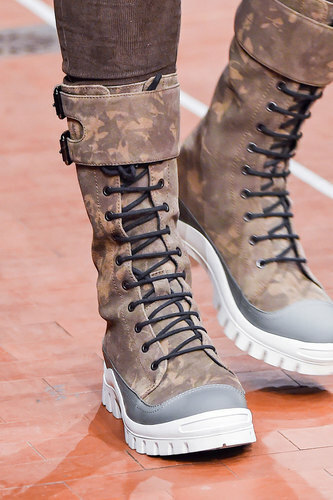 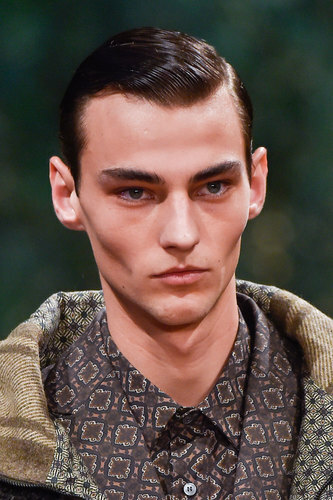 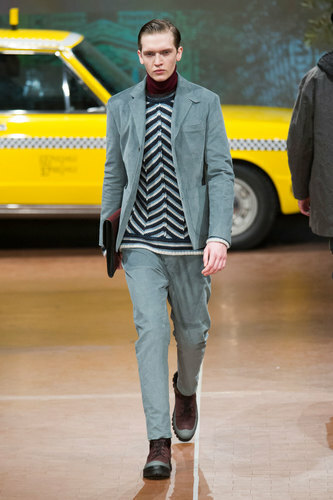 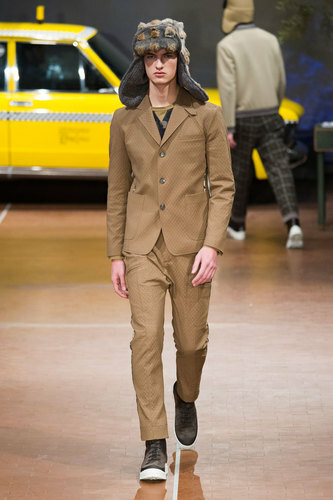 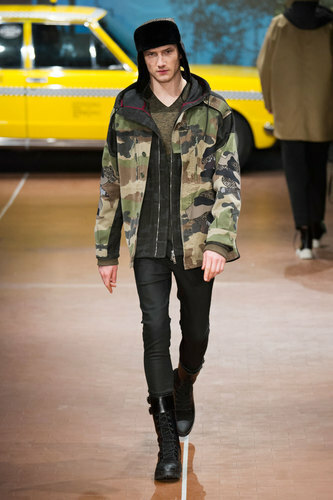 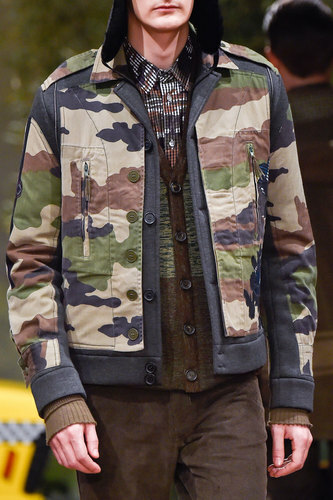 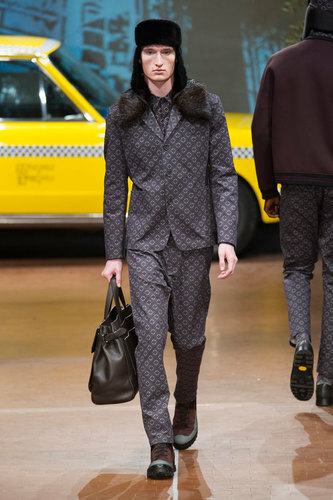 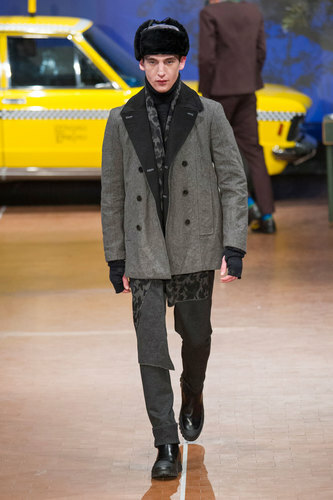 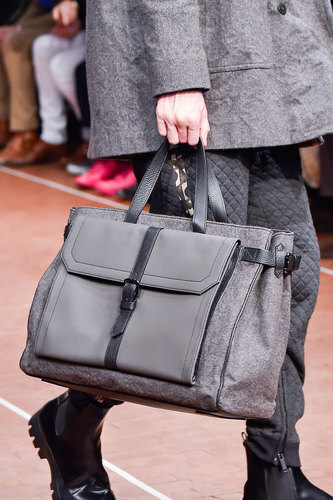 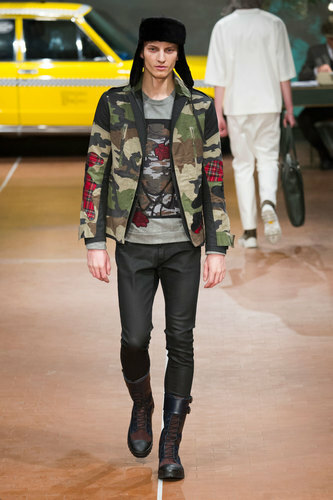 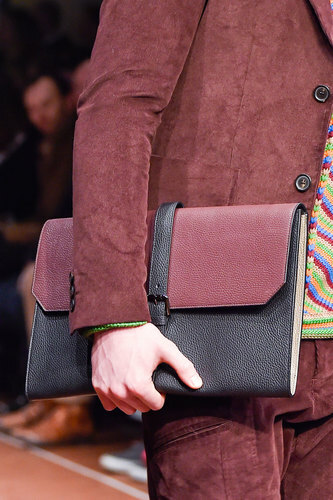 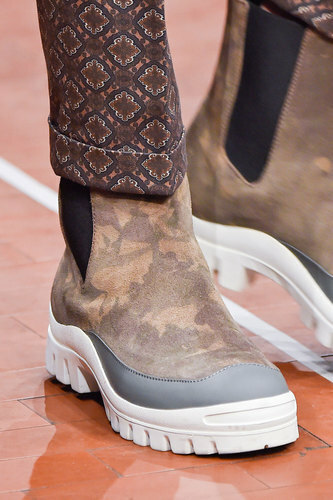 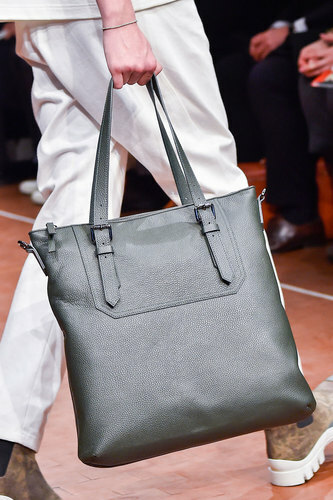 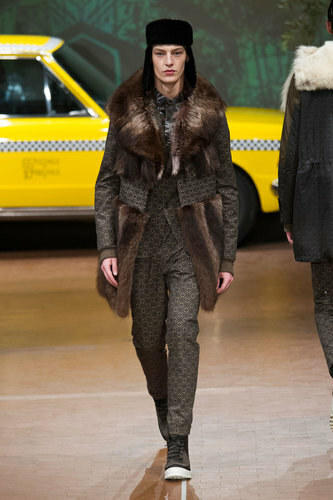 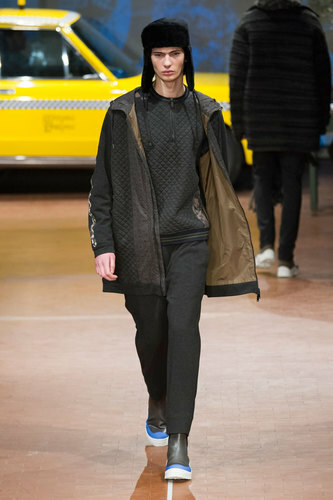 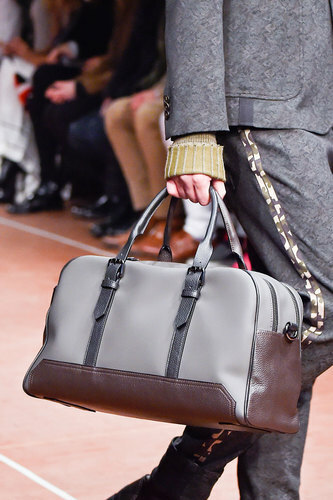 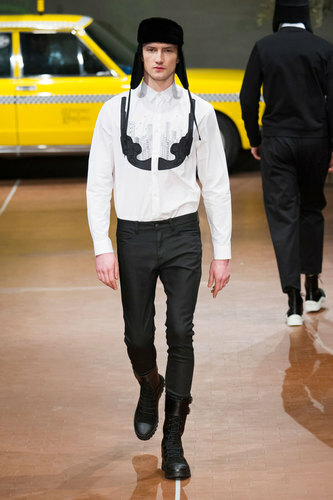 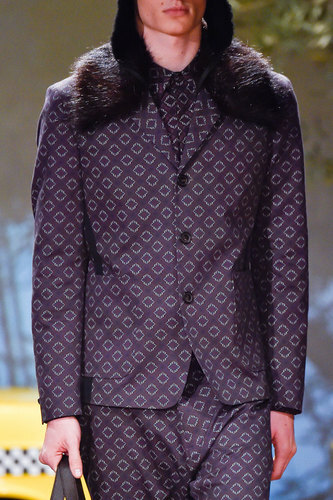 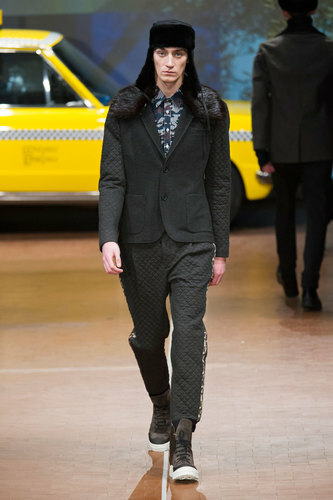 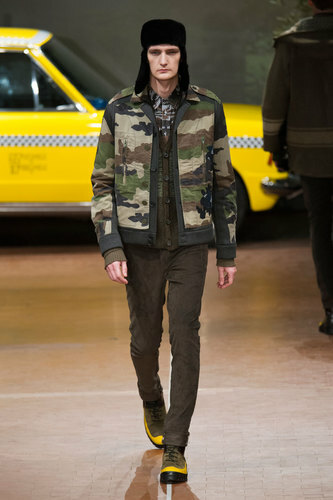 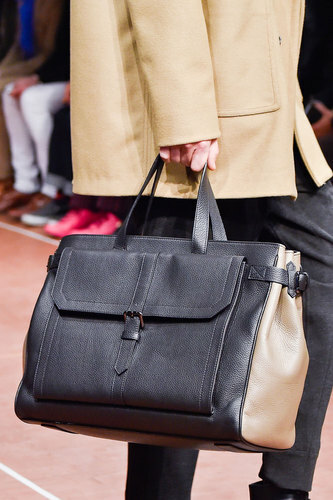 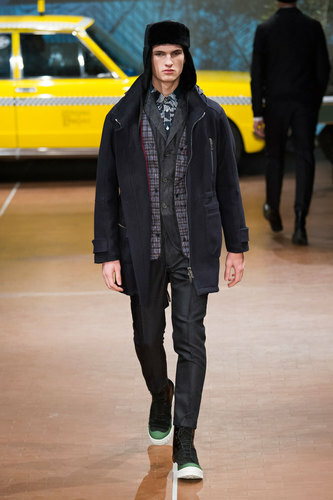 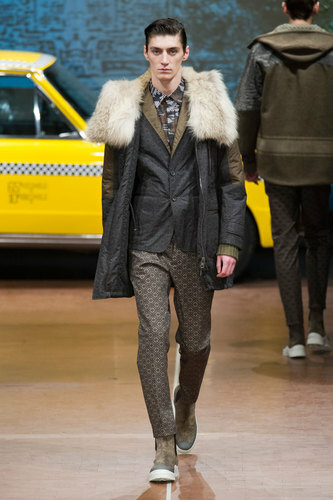 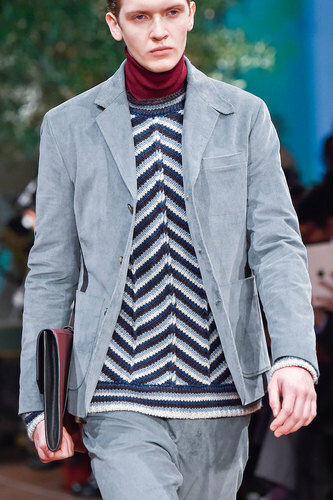 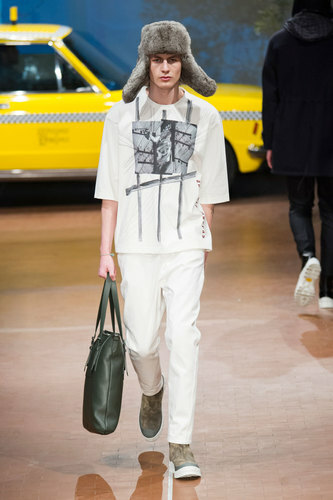 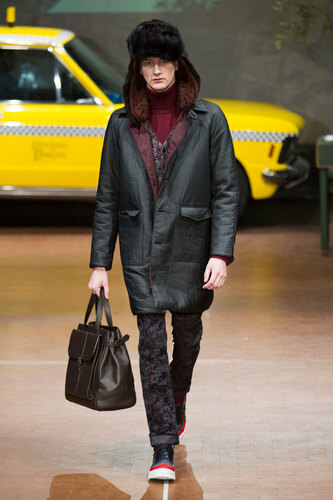 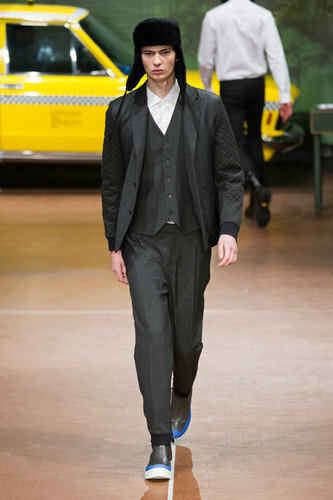 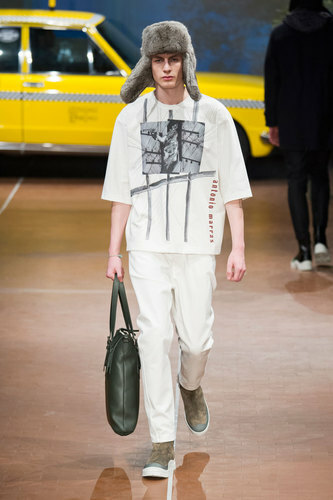 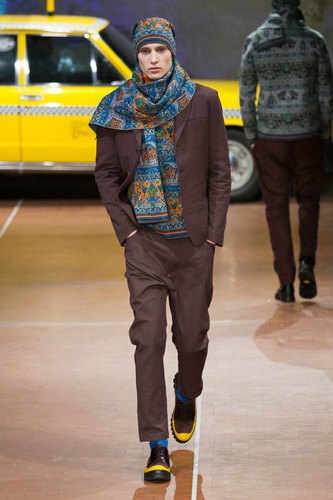 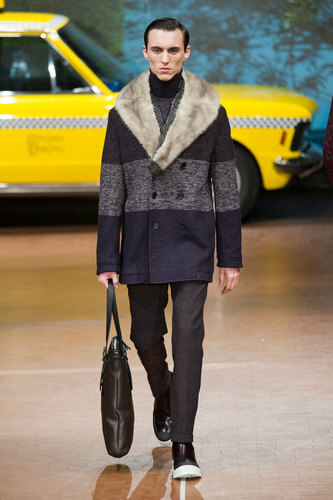 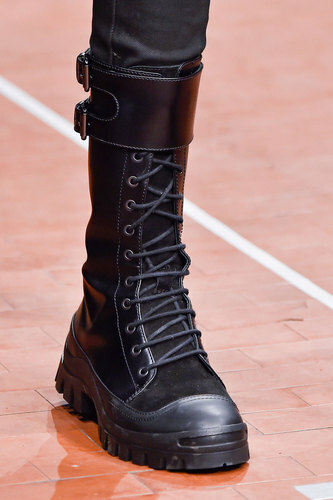 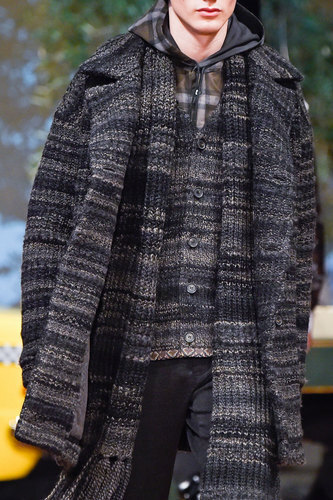 Antonio Marras Man Autumn-Winter 2015-16 – Antonio Marras collection is inspired by the story of Costantino Nivola. 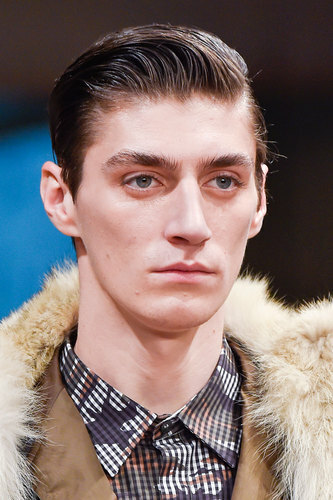 The Sardinian sculptor was married to a German Jewish woman and he had to migrate to the US to avoid the Anti-Semite oppression. 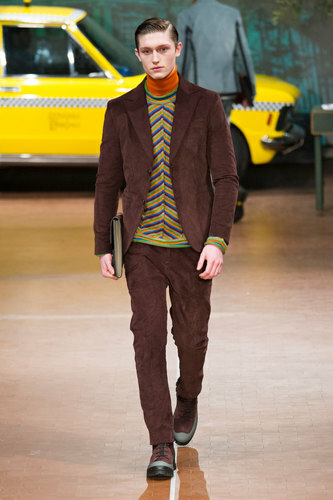 The Italian designer imagines his arrival to New York. 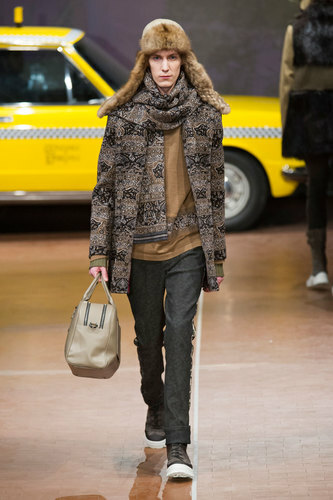 He recreates the American atmosphere with a yellow taxi car at the back of the runaway and the big apple map on the walls. 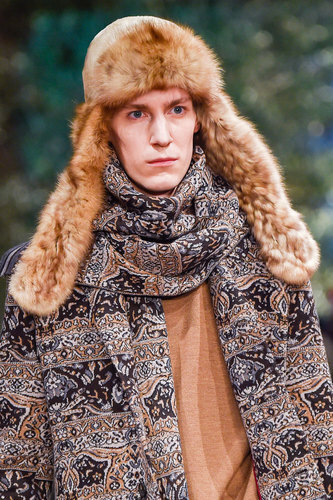 The modern Nivola gets ready to face the freezing winter with trappers and ushanka hats. 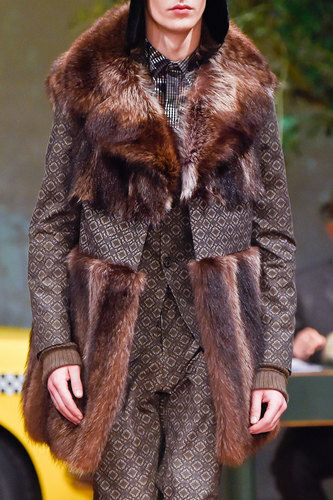 All the coats are completed by fur collars. 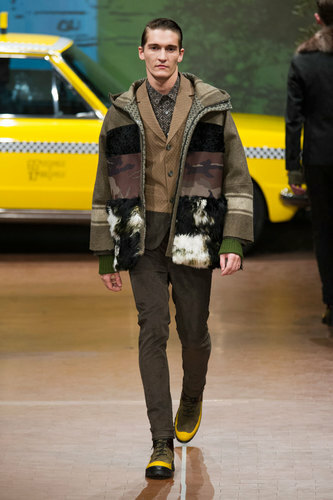 Jackets are made by fur and fabric scraps, the military pattern is used by the designer to contextualize the history moment. 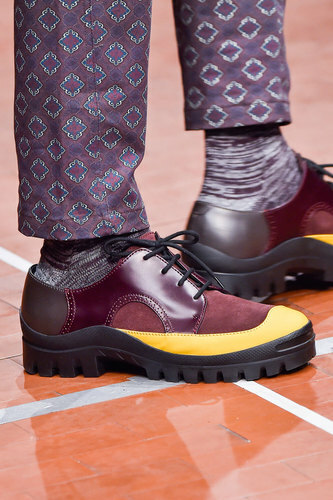 Bright colours such as yellow, blue and orange are part of the shoes. 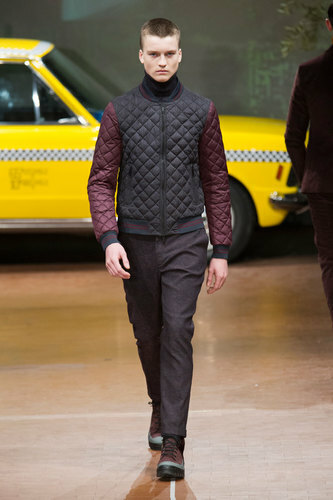 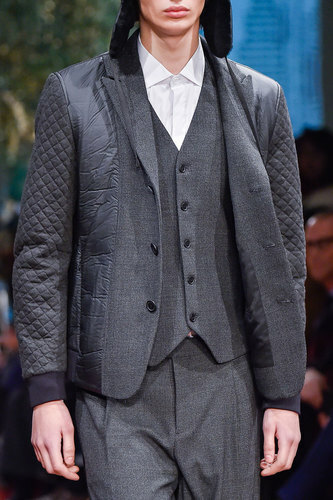 Quilted garments and well-cushioned jackets are offered to clothe printed suits.